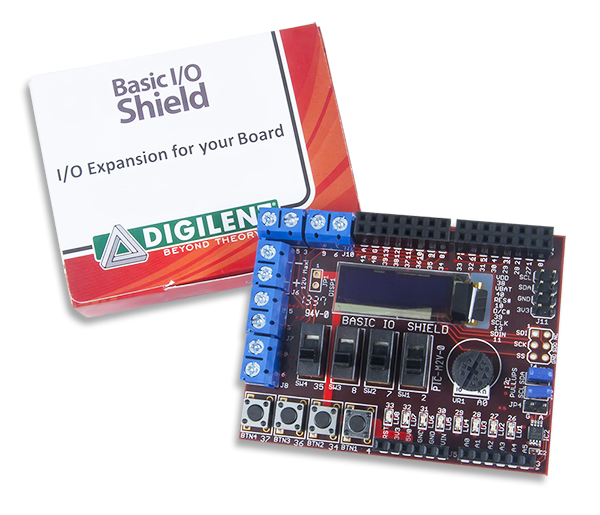 The Basic I/O Shield is an input/output expansion shield designed for use with microcontroller boards such as the Uno32, uC32, and the Max32. 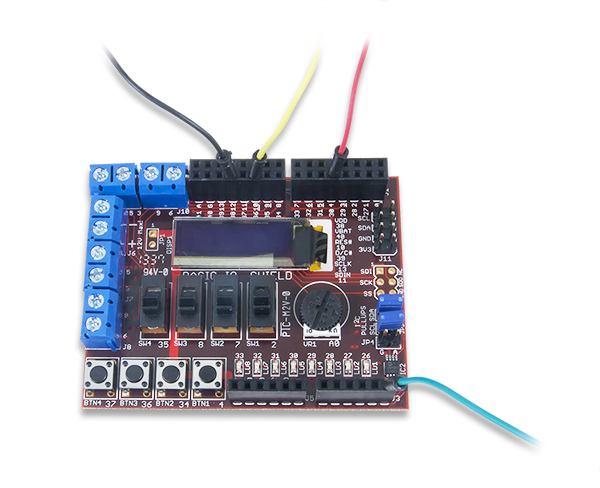 These boards are based on the popular Arduino™ open-source hardware prototyping platform. 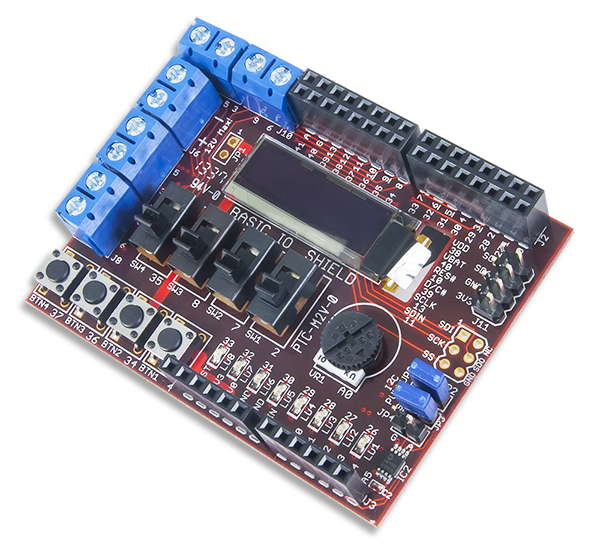 The Basic I/O Shield provides a range of input/output devices for both beginners and advanced users. It provides simple digital input devices such as switches and buttons, and digital output devices such as discrete LEDs and high-current open FET drivers. It also provides more advanced devices such as an I2C EEPROM, an I2C temperature sensor, an organic LED graphic display, and a potentiometer for use as an analog input device. 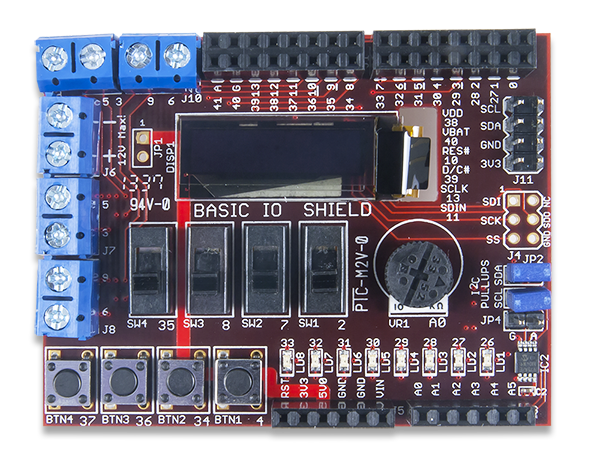 The Basic I/O Shield has the same form factor as the Uno32 board, but is also useable with the Max32 board. 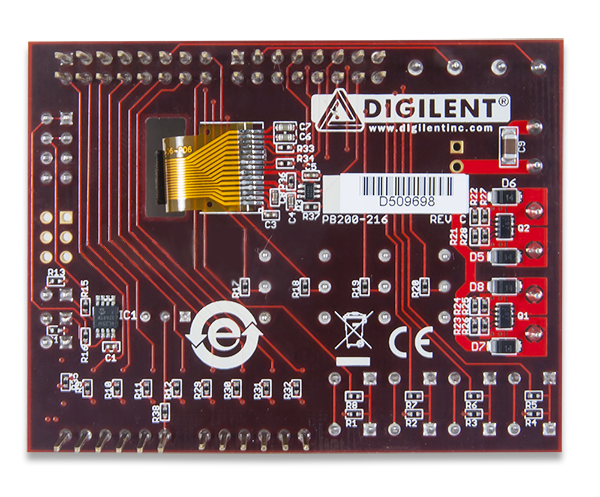 Download This zip file contains libraries and documentation for using the Basic I/O Shield™ with the MPIDE.